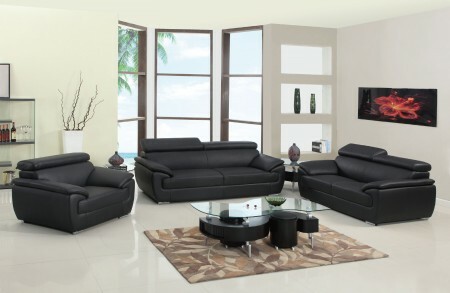 Bring 4571 living room set into your home or luxurious office. Minimalist modern style sofa, loveseat and chair are full of features for more comfort and support. Large medium firm seats with open armrests which are perfect for laying down. If you want to sit take advantage of adjustable headrests on all the pieces in this collection.